Carolina Digital, which has more than 15 years of experience serving and solving the communication needs of public sector organizations, credits its change management expertise for successfully completing a major hosted VoIP phone system implementation for the Augusta County Government Center, located in Verona, VA. The implementation, which took several weeks to complete and was part of a procurement process that began in 2015, involved several Augusta County departments and hundreds of employees — including many of whom had never used hosted VoIP phone system technology, hardware or features before. Like many IT specialists in the education field, Arapahoe Charter School‘s (ACS) network administrator Mark Prescott planned to spend the recent Spring Break taking care of some routine maintenance tasks, and enjoying a well-deserved breather after a busy semester. However, when his school’s on-site private branch exchange (PBX) suddenly went down, he was forced into action and made a quick-thinking decision that turned a potential nightmare into a triumphant success story: he called VoIP solutions provider Carolina Digital. To Mark’s amazement, that same afternoon Carolina Digital’s CEO Nicky Smith arrived with a team of experts who rapidly integrated the necessary SIP trunks, which linked the school’s communication server with its Internet telephone service provider (ITSP). The end result was that instead of being off-the-grid for what could have been weeks — which would have been unacceptable to staff and parents alike — ACS’s telecommunication system was back online and, what’s more, much improved and primed for the school’s next phase of its infrastructure development plan. Residential and business customers assigned to the existing 336 area code should prepare for the introduction of the new 743 area code. Use of an overlay area code requires that customers must dial 10 digits (area code + 7-digit local telephone number) to complete local calls within their area code calling area. To help customers prepare for this change and ensure a smooth transition, beginning October 24, 2015, customers may begin placing local calls by using the new 10-digit local dialing pattern. Customers may continue to use 7-digit local dialing until April 22, 2016, when that option will come to an end. Effective on April 23, 2016, all local calls must be placed using the 10 digit telephone number (336 or 743 plus the 7-digit local telephone number). Beginning May 23, 2016, customers in the 336 area code region requesting new service, adding an additional line, or in some cases moving their service, may be assigned new numbers using either 336 or the new 743 area code. You will need to dial area code + 7-digit local telephone number for all local calls. For billing purposes, what is a local call now will remain a local call regardless of the number of digits dialed. Customers should ensure that all services, automatic dialing equipment, applications, software, or other types of equipment recognize the new 743 area code as a valid area code. 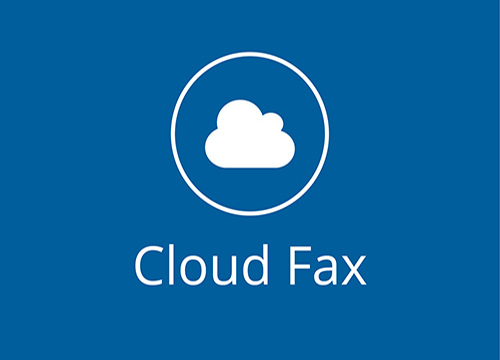 Some examples are life safety systems, fax machines, Internet dial-up numbers, alarm and security systems, gates, speed dialers, mobile phone contact lists, call forwarding settings, voicemail services, and similar functions. Be sure to check your business stationery, website, advertising materials, personal checks, and your personal or pet ID tags to ensure the area code is included in your telephone number. If you have any questions regarding the new area code overlay or dialing procedures please call 336-544-4000. Headquartered in Greenville, SC, NETXUSA has about 1,200 customers across the US, generates roughly $125 million in annual revenue, and maintains a partner base heavily tilted towards resellers of telecommunications gear and services. Purchasing the company helps Santa Ana, Calif.-based Ingram Micro deepen its in-house expertise in a fast-growing market and fill out its vendor roster, especially in voice services and conferencing. Digium Inc., Edgewater Networks Inc., Polycom Inc., and Yealink Inc. are among the new vendors Ingram Micro resellers will now have access to as a result of this acquisition, which officially closed yesterday. Today’s purchase comes just over one month after Ingram Micro itself was acquired by Chinese shipping company Tianjin Tianhai Investment Co. Ltd., in a deal valued at $6 billion. When a small North Carolina company with a handful of employees was awarded the Johnston County Schools contract for a new 4,500 phone system, shock waves reverberated throughout the industry. How does a small company with a few technicians go up against a Fortune 500 technology company over a complex, demanding government contract and win? Nicky Smith, Chief Executive Officer of Carolina Digital, has a simple explanation, “Quality, Price and Service.” But a full analysis of these factors uncovers a story that is more interesting than Smith’s shorthand suggests and reveals a revolutionary new dynamic that is at work in the telecommunication industry specifically and has wide reaching repercussions for businesses across a multitude of industries. The current state of the market for business phone systems is in flux. Mobile phone use dominates the headlines because of its explosive growth. But landline phones or fixed phones are also undergoing sea of changes as Internet Service has made the standard landline phone in many ways obsolete. Voice Over Internet Protocol (VoIP) phones, the replacement for a traditional landline phone, have been adopted more quickly by residential users than by businesses. VoIP phones, in simpler terms, are phones that do not utilize the standard phone company lines but rather use the internet to transmit a digital audio signal. These phones are also referred to as IP phones. Residential phone use today is split evenly between VoIP and traditional phone landlines, according to the latest Federal Communications Commission (FCC) report, (Industry Analysis Report, 3). Meanwhile, for businesses,VoIP use is only 18 percent and a whopping 82 percent of business lines are still traditional. This might seem surprising but it makes sense considering early VoIP systems depended on an internet connection for service, which was anything but reliable in the early days. Also, prior to the ubiquitous high-speed connections, the bandwidth of most business internet connections wasn’t broad enough to allow multiple phones and computers to be online at the same time. Another factor for consideration related to business operations is the complexity and functionality needed in the phone system of an organization with a multitude of phones and departments. Initially, VoIP phones were not able to compete with all of the options available in an elaborate company phone system. But that pendulum has widely swung. The available features in a VoIP phone system now eclipses a legacy or standard phone system by a wide margin. Many companies have large capital investments in these systems as well and have been reluctant to make a switch to what has been perceived as an inferior service. However, the current VoIP phone is comparable to a complicated phone system. In fact, according to a study by Software Advice, business decision makers that are looking to switch from their standard landline phone system to a VoIP set-up, and they are doing so largely due to the more extensive phone features offered with VoIP phones. 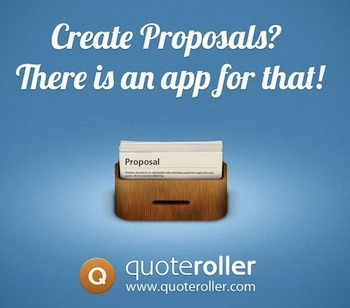 Features such as call queues, auto attendants, follow-me, find me and complex call routing rules, that can all be easily modified. As the numbers show, VoIP phone adoption is the biggest change going on in the business phone industry. In fact, the rate of growth of VoIP phones is actually five times that of the rate of growth of mobile phones, although the number of mobile phones is much higher. 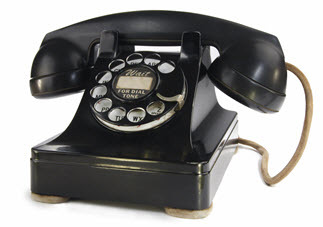 The decline of traditional phone lines is currently 10 percent per year according to the FCC. As VoIP phone systems have become more and more robust, dependable and feature rich, the switchover from traditional phone system in the business community has become inevitable. It’s no longer a matter of whether a company will switch to a VoIP phone system or not, but when. This presents a tremendous opportunity for the telecommunications industry as thousands and thousands of businesses have held off making a change and have clung onto existing legacy phone systems, thereby creating a pent-up tsunami of need, set to burst across the nation in the form of demand for new VoIP phones. There are numerous mega-telecommunications companies that are vying for this business, such as AT&T, CenturyLink, Verizon, Windstream, Time Warner Cable and Earthlink. Unlike the traditional phone services that have been dominated by large monopolistic companies ever since the invention of the phone, the VoIP phone market contains smaller companies that are competing for market share in the new and growing VoIP industry. However, it’s not just businesses that are converting to VoIP. 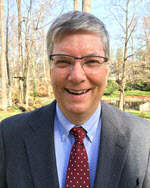 In addition to the business community, there is a plethora of organizations that stand to benefit greatly from the new functionality, freedom and cost savings, that VoIP offers; from the small nonprofit to a large municipality, and just about any organization in-between that has a need for dedicated phones — even a county school system, such as Johnston County Schools in North Carolina. 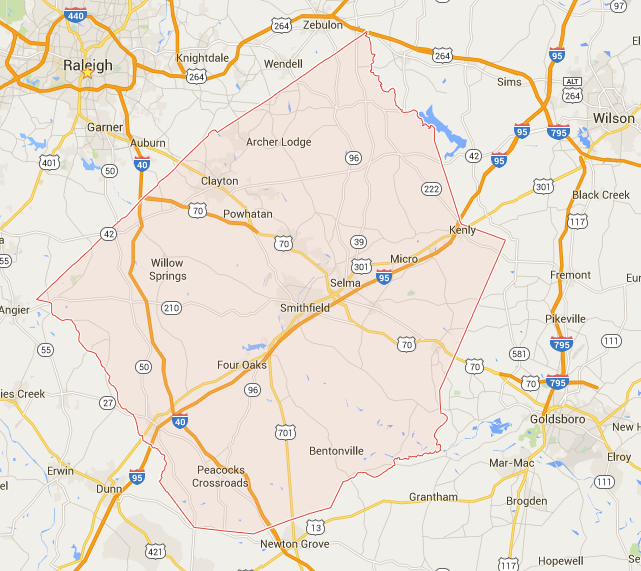 Johnston County sits in the eastern half of central North Carolina, southeast of Wake County, home of the state capital, Raleigh. Johnston County is mostly rural, encompassing numerous small towns and communities with a total county population of approximately 177,000. The county seat is Smithfield, with a population of 12,965. The Johnston County School system is made up of 44 schools and a handful of administration buildings. Despite lacking the glamour and limelight garnering power of its neighboring county, Johnston County has one thing that no other county has, Dan Hicks, the Johnston County Schools Director of Technology Services. Hicks is a forward thinking administrator who has been pushing to keep his school system equipped with the best technology available. Hicks became convinced that a VoIP phone installation was direly needed. For years, the school system had been dealing with 50 different phone systems in the multitude of buildings spread out across the county. These legacy Private Branch Exchange (PBX) systems could not communicate with one another and required a lot of upkeep. Even for minor changes a technician had to go onsite and manually make the programming change such as modifying an extension or moving an employee. With a new VoIP phone system, a member of Hick’s team would be able to login from his laptop no matter where he was and make these changes in a few minutes. Time savings like these multiplied across the county would add up to a tremendous savings in time and resources. There were numerous other features about the new VoIP system that excited Hicks. For example, there is a 911 feature that would immediately notify medical and security personnel at the school when there was a situation that might require outside assistance. The system would automatically notify certain school system employees when 911 had been called from anywhere within the county-wide system. The hard cost savings alone was going to be remarkable. The school system was going to eliminate the cost of the hundreds of phone lines and completely divest itself of the phone systems, some of which the system was leasing at the time. Over time, the VoIP phone system was going to amount to considerable savings for the county. 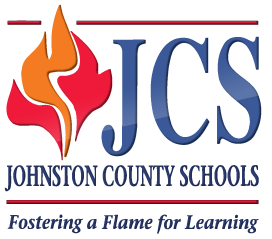 Another factor that made VoIP system a particularly effective choice for the Johnston County School system is the high-speed broadband internet connectivity that every North Carolina public school has. This network, which was created and now managed by Microelectronics Center of North Carolina (MCNC), is 1,600 miles of fiber optic cable that connects every public school, all the universities in the UNC system, and many other institutions of higher learning to one another and the internet. The practical application of the Research and Education Network (NCREN) is that the Johnston County system has super fast and super reliable internet, as does every public school in North Carolina. LONDON, Dec. 16, 2015 /PRNewswire/ — The rapid growth of the European hosted Internet protocol (IP) and unified communications and collaboration (UCC) market is creating opportunities for both European and international providers delivering compelling next-generation solutions. Businesses looking to gain a competitive edge are adopting hosted communications solutions to gain faster access to advanced features and more frequent functionality upgrades. Continued economic challenges are also forcing businesses to choose hosted solutions as they allow greater flexibility for rapid growth or downsizing. New analysis from Frost & Sullivan, Analysis of the European Hosted IP Telephony and UCC Services Market, finds that the market earned revenues of $3.32 billion in 2014 and estimates this to reach $17.93 billion in 2021.